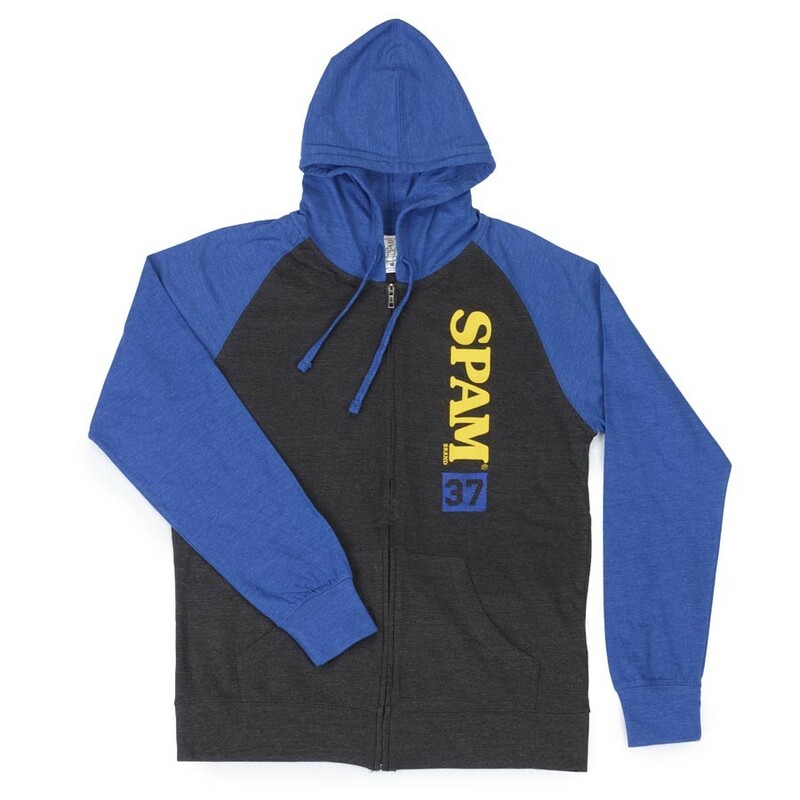 Full zip light weight charcoal SPAM® Brand Hoodie with blue sleeves. Imprint down left front. Available in adult sizes S-XXL.